Processing a lot of legal documents in the Philippines is surely a hassle. Just complying one requires a lot patience because aside from the lack of organization, there are some unapproachable employees that add up to the stress. One of the most important document we will need is our Birth Certificate.It include all the legal and necessary information that holds our identity. And when an error is seen on this document, it will surely drive you insane since there will be a lot of procedures to follow in order to have the information corrected. Let us share to you the a step by step guide on how to detect errors on your Birth Certificate and what you should do to correct it. These errors are often caused because of carelessness and typical human errors. If you think these are just a few simple mistakes, think again, because this will surely be taking part of the most hassle you'll face. In this case, the local civil registry should request to endorse a clear copy of birth certificate to the NSO. If both NSO and civil registry record are blurred, then the person should file a petition for correction. Misspelled first name, middle name, or the last name should be corrected by filing a petition or correction of clerical error. 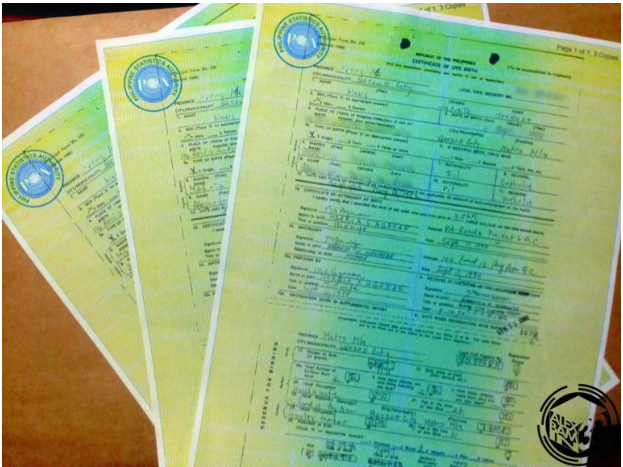 If all or any of these names are blank in the birth certificate; a supplemental report should be filed to supply the missing entry. A. IF LEGITIMATE File a supplemental report through an affidavit indicating the missing entry and the reason why there was a failure to include the middle name. In this case, file a supplemental report to enter the missing middle name. The last name of the mother shall be the middle of the child. An illegitimate child who is not recognized by the father could only bear his/her given name together with the mother’s surname, the middle name should not be supplied anymore. B. Different from the middle name entered on the birth certificate File a petition for correction if the last name of the mother of the child is correct and middle name of the child is wrong or if the last name of the mother in the birth certificate of the child is wrong and middle name of the child is correct. 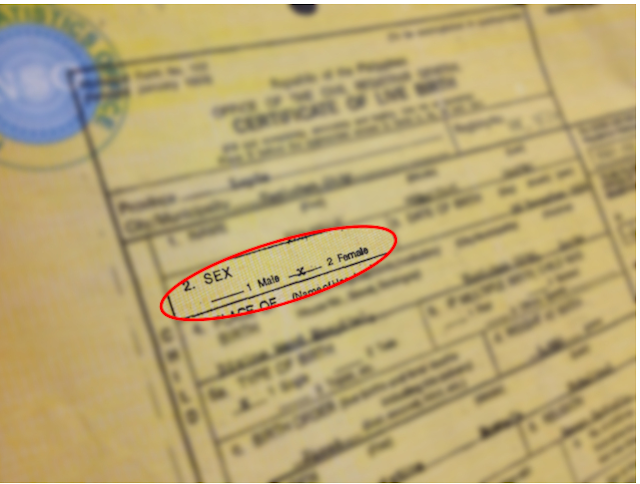 C. Middle Names of the child and the mother in the birth certificate are wrong In this case, a petition to correct the middle name of the child and the last name of the mother in the birth certificate should be filed at the Regional Trial Court of the province where the civil registry is located. Prepare any supporting document showing the correct middle name of the child. D. Interchanged middle and last name This kind of error is considered error encoding and could be corrected by filing a petition for correction of clerical error. E. For compound middle names like Dela Cruz, Quintos Deles, Villa Roman The middle initial that should be used should be the first letter of the middle name. For Dela Cruz, the middle initial should be “D”. For Quintos Deles “Q”. For Villa Roman “V”. The entry should be corrected by a petition for correction of clerical error. A. If born before August 3, 1988 If acknowledged by both parents the child shall use the surname of the father. If the child is recognized by only one of the parents, a child shall use the surname of the recognizing parent. Child under the surname of the mother and acknowledged by the father through authentic writing. The authentic writing executed by the father can be used as the basis for you to use his last name. B. If born after August 3, 1988 If the birth certificate is already registered and child is under the surname of the mother and the father executed an affidavit of acknowledgment, an affidavit of acknowledgment executed by the father should be registered with the civil registry office where the birth of the child was registered. An Affidavit to Use the Surname of the Father (AUSF) should also be filed at the civil registry office where the birth is registered. If the birth certificate is already registered and child is under the surname of the mother and a Private Handwritten Instrument (PHI) by the father is presented, the PHI should be the basis to use the surname of the father. An Affidavit to Use the Surname of the Father (AUSF) should also be filed at the civil registry office where the birth is registered. If the birth certificate is not yet registered and the father acknowledges the child at the back of the birth certificate or in a separate public instrument, the father’s surname should be used by the child in the Certificate of Live Birth. The Certificate of Live Birth shall be recorded in the Register of Births. A. 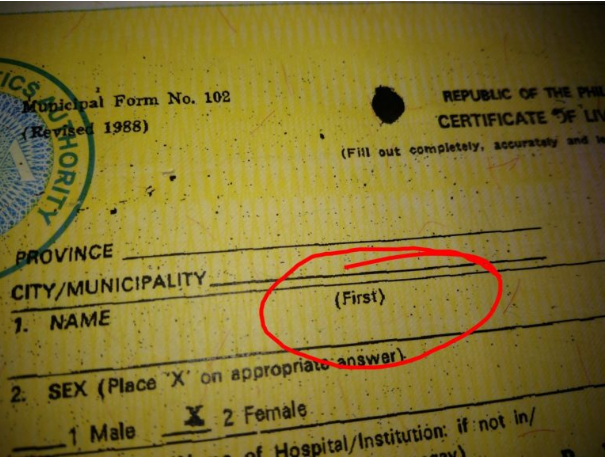 The first name used is different from the first name entered on the birth certificate In this case, the first name in the birth certificate shall be changed by filing a petition for change of the first name. B. The first name is “Baby Boy”, “Baby Girl”, “Boy”, “Girl”, “Baby” If the child is born before 1993, the above-mentioned first names are considered as if the first names were omitted; a supplemental report should be filled. If the child is born in 1993 onwards, names “Baby Boy”, “Baby Girl”, “Baby”, “Boy” and “Girl” are already considered as a first name and can be corrected by filing a petition for change of the first name. 1. If the owner of the record is a minor or physically or mentally incapacitated, the petition may be filed by the above-mentioned list. 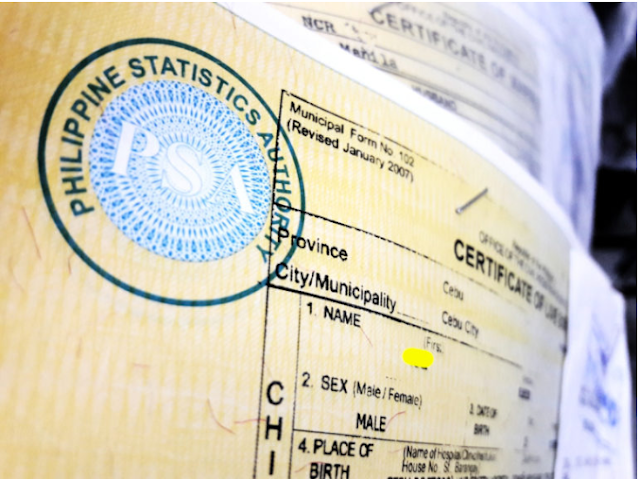 WHERE TO FILE If born in the Philippines, the petition for corrections should be filed at the Civil registry office or municipality where the birth certificate is registered. If the petition is migrated to another place within the country, the petition may be filed with the civil registry office where he/she is currently residing. 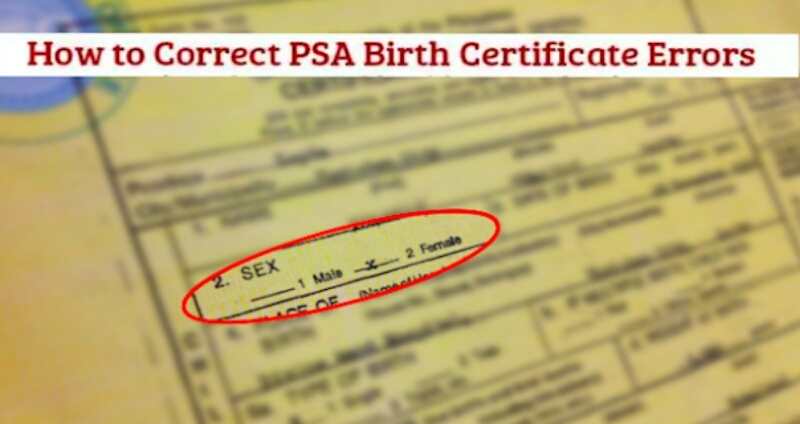 If born abroad, the petition should be filled at the Philippine Consulate Office where the birth is reported. 5. Other documents which may be required by the concerned civil registrar.